GSEC Limited established in 1977 for managing the Air Cargo Complex at Sardar Vallabhbhai Patel International Airport, Ahmedabad. 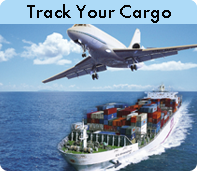 The purpose of this service is to process import, export and transhipments for our esteemed clientele. GSEC Limited is aiming to provide value added, customer focused services, and is all set to be the benchmark in the field of Air Cargo Services in India. Our service outlook enables our clientele achieve an operational excellence at every stage of their business. The Cargo Complex is sprawled over 45,000 sq. ft. area, and has the mezzanine floored with 3 level stacker positions (amid slots) for the storage and retrieval of built-up containers and pallets. Modern equipment such as 0 difference weighing scale for high valuables, forklifts, high mast stacker, and power pallet trucks etc. 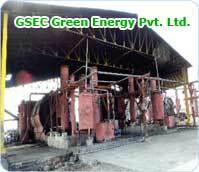 are used for the cargo handling. In addition, also available is a high-tech centre for export perishable cargo such as pharmaceuticals, flowers, fruits, vegetables, meat and fish. To enable our clientele beyond excellence – anticipation, with Import & export of their products, we have initiated; demystify Impex procedures through value addition process such as methodical advisory for required documentations, filings - to manage and execution. We, at Air Cargo Complex provide a wide range of conveniences under one roof at par with any international Air Cargo Complex; bearing in mind the axiom of ‘growth, success, empowerment, and commitment’. Furnished space allocation to Assistant Drug Controller's office, CHA's, GSA, etc. Comparing the above with other capital city Air Cargo Complex in India - our range of services, accentuates our clientele’s idea. What make us capable for above all promising are our state-of-the-art technologies that deliver customised Air Cargo business solutions with leading edge IT systems, which ensure seamless integration and pledge full transparency.